To unravel the molecular mechanisms by which biological and environmental oxidants contribute to lung cell injury, inflammation, and remodeling, as major features of chronic lung diseases such as asthma, COPD and lung cancer. Another major goal is to provide a stimulating environment for education and training in academic research in the general areas of environmental pathology and lung biology. interactions between common airborne pollutants and the major lung cell types involved in orchestrating innate and adaptive immune responses or mediate chronic inflammation, remodeling, or tumorigenesis. Our research is largely at the interface of chemistry and biology, and seeks to link chemical mechanisms of molecular modifications with alterations in lung cell biology. Multidisciplinary strategies, using complementary molecular, analytical, and proteomics approaches in in vitro studies with cultured (primary) respiratory epithelial and inflammatory/immune cells and in in vivo animal exposure and disease models. Proteomic approaches revealed that acrolein reacts primarily with susceptible redox-sensitive cellular targets through S-alkylation, and can thereby affect many cellular processes that are controlled by redox regulation (including redox regulating proteins such peroxiredoxins, thioredoxin/thioredoxin reductase, or glutathione S-transferase) and redox-sensitive proteins involved in inflammation or apoptosis (e.g. NF-kB, JNK1/2, caspases). Our current goals are to explore the significance of these modifications for redox regulation and lung cell function, and to explore the potential importance of S-alkylation as a signaling mechanism, analogous to e.g. S-nitrosylation or S-glutathionylation. These studies have been funded by research grants from NIH NIH and the Flight Attendant Medical Research Institute (FAMRI). several homologs of NADPH oxidase homolog. Recent studies suggest increased expression or activation of DUOX1 in allergic asthma, suggesting a contributing role of DUOX1 in epithelial remodeling and mucus metaplasia. Conversely, more recent studies suggest that silencing of DUOX1 may contribute to epithelial-to-mesenchymal transition and as a potential active mediator of squamous metaplasia or lung cancer. Our current NIH-funded studies are aimed at exploring the molecular mechanisms involved in DUOX1-dependent signaling, and the potential implications for chronic lung disease. Opportunities to interact with prominent invited speakers in weekly seminar series and to present research at national or international research conferences, ensure a rich and stimulating learning environment for students and fellows. 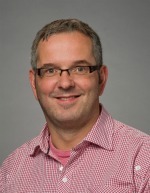 Albert van der Vliet, Ph.D.